The waterproof footprint protects tent floors from damage and prolong tent life by adding a layer between the tent floor and the ground. Grommet tabs attach to tent pole ends. This footprint can also be used in the 'PitchLight' option, where you use only the tent footprint and rain fly with poles for an ultra lightweight shelter. The waterproof footprint protects tent floors from damage and prolong tent life by adding a layer between the tent floor and the ground. Grommet tabs attach to tent pole ends. 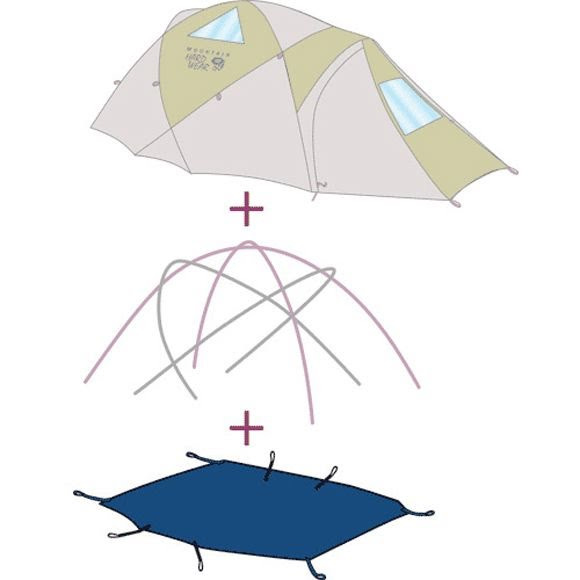 This footprint can also be used in the &apos;PitchLight&apos; option, where you use only the tent footprint and rain fly with poles for an ultra lightweight shelter.